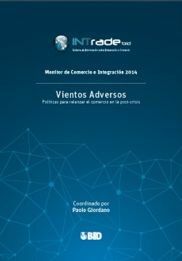 Esta nota presenta las estimaciones de los flujos comerciales internacionales de América Latina para el año 2014 y una actualización hasta el primer trimestre de 2015. 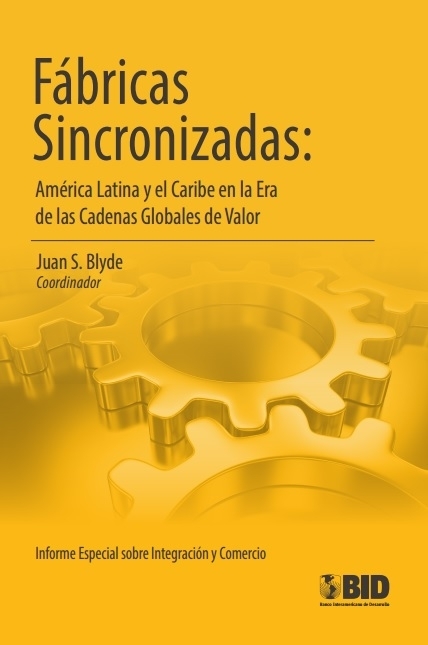 Elaboradas por el Sector de Integración y Comercio (INT) del Banco Interamericano de Desarrollo (BID) en colaboración con el Instituto para la Integración de América Latina y el Caribe (INTAL). El surgimiento de las cadenas globales de valor está permitiendo que las naciones que se vinculan a ellas se industrialicen a un ritmo mucho más acelerado que el que necesitarían desarrollando cadenas domésticas completas. Además de crear oportunidades para diversificar la producción y el comercio, la participación en estas cadenas globales permite que los países capturen algunas de las ganancias asociadas al bien manufacturado en la cadena sin tener que poseer habilidades en todas sus etapas de producción. A pesar de estos potenciales beneficios, muy poco países en América Latina y el Caribe están aprovechando estas nuevas tendencias en la organización internacional de la producción. In less than 30 years, Korea transformed its battered economy into a highly sophisticated, developed one backed by a highly educated workforce and a world-class private sector. In addition, LAC-Korea bilateral trade has expanded rapidly. Still, bilateral trade comprises only 2.5% of LAC’s trade, meaning that there is ample room for growth. El Sector de Integración preparó este estudio para el Primer Foro de Inversiones Colombia-Brasil, realizado en 2011. Allí, se revela que a pesar del creciente dinamismo comercial entre ambos países, el comercio entre Brasil y Colombia sólo ha llegado a representar 0,7 por ciento del comercio exterior total. La carencia de infraestructura física es uno de los factores que impide un mayor intercambio bilateral. The study argues that India has the potential to mirror the recent economic performance of China, which has become a major market for Latin American and Caribbean exports but also poses a challenge for the region’s manufacturing and service sector. China is today among LAC’s top trading partners. LAC’s share of China’s trade is still modest, but has been growing fast, and the region figures among China’s main suppliers of key raw materials such as copper, iron ore, and soybeans. This study first makes a comprhensive analysis of export promotion organizations in some countries and regions, it provides robust evaluations, using state-of-the-art econometrics and original datasets purposely compiled, of the impacts that policies have had on export outcomes of countries and firms. The success of global enterprises compels their competitors to go global in order to remain competitive. Only the increasingly small number of industries, the output of which is physically untradeable, are exempt from these forces, permitting them to limit their horizons to being competitive at a local or a national level alone. By contrast, tradable service firms are either globally competitive, or not competitive at all. The book explores the impact of high transport cost in Latin America, and argues that tranport costs have assumed an unprecedented strategic importance to the region. It concludes that a broader and more balanced trade agenda would bring the long neglected issue of transport costs to the center of the policy debate. Understanding the complex relations between trade integration and poverty reduction is now a priority for Latin American policymakers. 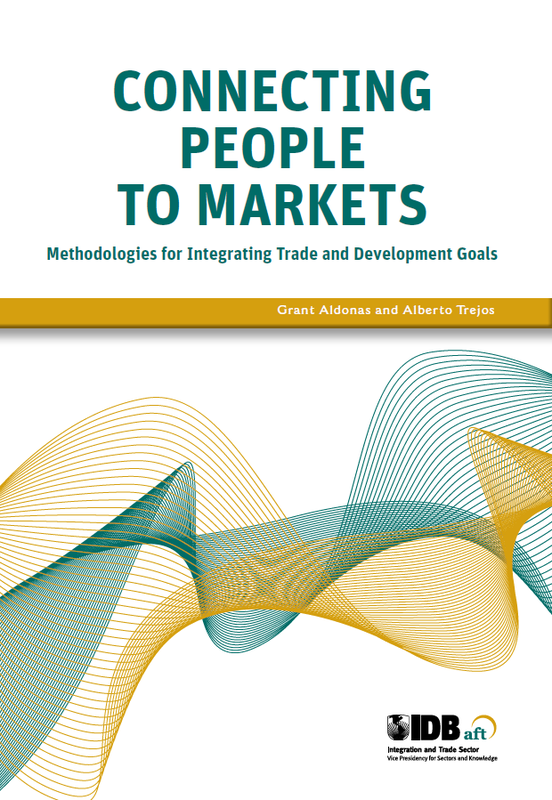 One of the main lessons extracted from the book is that preexisting policies and socioeconomic conditions play a key role in determining how trade integration affects poverty. Deepening Integration in MERCOSUR analyzes the most important issues of economic integration and policy coordination that countries face as they advance towards deeper integration and are urged to address development disparities among partner countries. This book assesses the impact and design of optimal strategies to implement existing agreements. It deals with issues such as removing the remaining barriers to trade, improving the institutional, regional, and global trade architecture, and promoting convergence and accumulation among the existing agreements. In this volume, Estevadeordal and Suominen reveal the protectionist impulses behind rules of origin, examine their impacts on international trade and investment, and put forth a succinct policy roadmap for countries around the world to follow in attenuating their negative implications.